​Purchasing in a hearing protector while going shooting or hunting is very important. Often it is put in the last of the considerations because a newbie in shooting would put his focus in the type and quality of his firearm. However, in the long run, what are most affected are the little parts of our body, such as our ears. 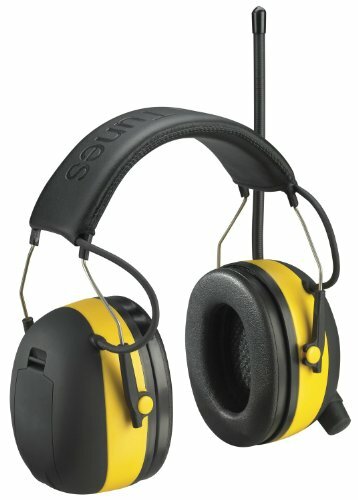 ​What are the important aspects of the 3M TEKK WorkTunes Hearing Protector? ​What other things should you know about the 3M TEKK WorkTunes Hearing Protector? ​Ear protection is important and mandatory for shooting because it can cause long-term damages to your hearing. Once it is damaged or lost, you can’t regain it back even if you have all the money to pay the top doctors in the world. Chances are, you would be forever relying to expensive hearing aids and other apparatuses. You can avoid it by getting a hearing protector that would not cause even a dent in your wallet. 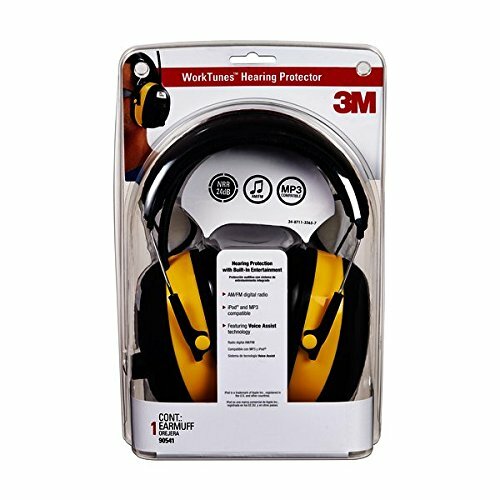 The 3M TEKK WorkTunes Hearing Protector and it is guaranteed to provide ample protection to your ears. The 3M TEKK WorkTunes is an electronic muff that features a decibel limiter of 82 decibels to prevent users from harmful sound levels. This is effective at blocking continuous noise so that your hearing, which regularly exceed the acceptable 85 dB. It enables users to not be disturbed by the noise and focus on their work while enjoying their favorite tunes. The muffs with radio and digital input are powered by two AA batteries (not included), which provide approximately 140 hours of operating time. These muffs are basically ear protection with additional music. When using this, you won’t be able to hear the sounds around you, which can both be a gift or a curse depending on how you look at it. If you still want to be able to join in conversations, consider getting an electric hearing protector with built-in microphone that captures and amplifies sound below 85 dB. These muffs come with cushioned cups and headband for a more effective seal and a lower two-point attachment on the headband for a tight wear. The headband has an adjustable stainless steel support that enables wearers to change the height of their muffs for the right fit. Once adjusted, rest assured that you don’t have to worry about wobbles and constant rearranging. Some users have complained that these muffs are too heavy at 1.1 pounds. After a few hours of work, some have experienced headaches and sore jaws and blamed the weight and overall fit of this product. This product has a noise reduction rating of 22 decibels. This is an acceptable rating as most earmuffs are around this range, especially electronic ones. You can use it practically anywhere because it’s quite portable and is really good at blocking noise. You can take it shooting or hunting, or wear it while you’re doing housework and DIY projects. The 3M TEKK WorkTunes features lightweight gel/foam cushions that feel alleviate pressure if worn for hours, and has an adjustable stainless steel headband with padded top made of soft leatherette material. The strong construction methods and more durable materials help to prevent breakage at critical points, and better withstand daily use. The main accessory of this muff is its radio and controls housed in one cup. You can quickly tune to your desired AM or FM radio stations with the easily accessible seek/scan tuning buttons. With its Bass Boost option, users can customize their music experience and the memory allows users to save up to 10-preset stations. Other controls include a combined on/off/volume control and a toggle button that switches between AM and FM radio. Owners who have left reviews on Amazon have common laments about this product. The number one problem is the radio’s very poor quality and poor reception. These muffs can barely access radio stations even if some live very close to the city, or in the heart of the city. The digital tuner is also not accurate. If you want to tune into a specific station, you have to try tuning in higher or lower. Some have also complained about hearing static and unclear receptions once they finally found a station to listen to. The good thing is, you may still use this to play your iPod and MP3. Making the radio work varies from location to location. Also, the hearing protection is also top-notch (although you may get a decent hearing protection for less than $20). Also be wary about your security when wearing these as people can easily sneak up on you without noticing. It’s because once worn with the music on, you really wouldn’t be able to hear anything other than the music. The 3M TEKK WorkTunes is a good hearing protector as it blocks noise above 85 decibels effectively. You don’t have to worry about damaged hearing as its pretty good for that purpose. Remember, consistent exposure to noises 85 decibels and above can cause Self-Induced Hearing Loss but it is 100 percent preventable with proper hearing protection. The built-in radio of these muffs may be a bit of a problem as it doesn’t always work; the reception is weak and in most cases, finding a station to listen to is difficult. However, you can still plug your MP3 or iPod to listen to. Do take note that you can get effective earmuffs for cheaper that allows you to plug your music devices as well, so weigh your options carefully. Don't miss out our article on the "​​What are the best Shooting Ear Protections? ", for more ​shooting ear protection choices.